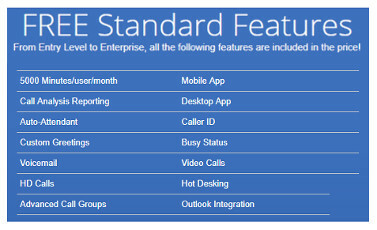 Hosted VoIP is another term for Hosted PBX. “Hosted” means to say that the hardware (PBX) is hosted at an off-site location from where the VoIP telephone service is being used. i.e at your business premises. Voice over IP (VoIP) is a service that allows you to consolidate your voice and data communications to achieve a more cost-effective communications across your broad band connection solution for your business. This service provides calls within and between offices, and can also be utilised by home-workers. Apart from the substantial call savings VoIP systems offer additional features such as voicemail, call divert, call forwarding and hunt groups. 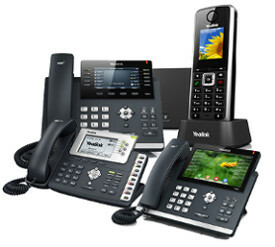 Always have new phones: With rented equipment, your phone system will stay up to date. Of course you can keep your number. Getting up and running on your existing numbers is a simple process of porting your number across to our platform. We help you with this process to ensure it’s quick and easy with no downtime. If you have a premium number you already pay additionally for, we can help you redirect it through to our platform. Call recording and much more. PreviousPrevious post:HP Laptops from only £234.00NextNext post:Is your business protected?